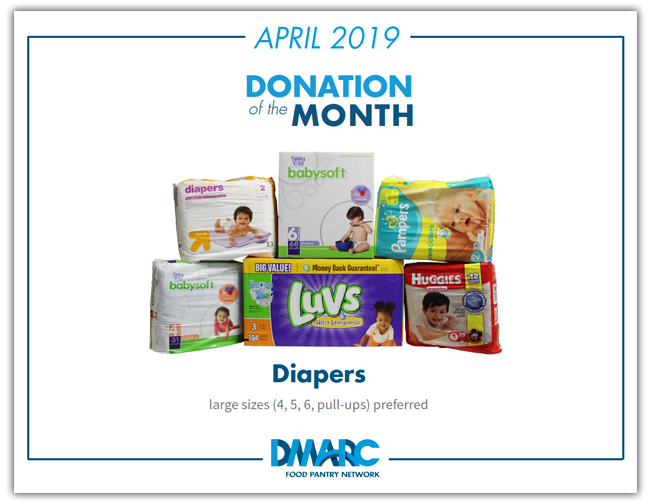 DMARC works in partnership with many organizations, businesses, and individuals to secure funding and leverage in-kind donations and services to ensure that all possible resources are made available to help families in need. As DMARC carefully stewards the financial gifts of loyal and new donors and volunteers, we recognize there are many worthy charitable causes deserving of your consideration. On behalf of the more than 16,000 individuals assisted each month through the DMARC Food Pantry Network and other supportive services, we thank you for your caring commitment and generous support. A legacy or planned gift has traditionally been defined as one that an individual creates during his or her lifetime, to benefit a favorite charity or cause after their passing. A bequest in your will naming DMARC or changing the beneficiary on a life insurance policy to DMARC are both simple and meaningful ways to create YOUR legacy. Giving a gift to DMARC’s Endow Iowa Fund is a great way to help support DMARC’s mission! Contributing to the Fund allows you to make a gift to the future of Iowa while also receiving a generous 25% state tax credit. Bunching is where filers plan their charitable gifts over two (or more) years. They give the same amount that they would have over that span of time, but they give it all in one year. Bunching charitable contributions all in one year allows filers to itemize deductions where otherwise, they would not be allowed to do so. Consider the tax benefits of donating appreciated stocks and securities when considering your next gift to DMARC. Learn more and download a form to complete and send in to DMARC Offices. The Farm to Food Donation tax credit is for farmers who donate self-produced food commodities to food banks and food pantries in an amount equaling the lesser of $5,000 or 15% of the value of the commodities donated during the tax year for which the credit is claimed. Qualifying food commodities must be “apparently wholesome food”, meaning food that meets all quality and labeling standards imposed by Federal, State, and local laws and regulations even though the food may not be readily marketable due to appearance, age, freshness, grade, size, surplus, or other conditions. DMARC is a registered organization with the Iowa Department of Revenue to receive Farm to Food Donations. Learn more about the Farm to Food Donation Tax Credit. You can make a pledge of support to DMARC! A pledge is a signed and dated commitment making a gift over a specified period of time with pre-scheduled payments. Provide a tribute gift in honor or memory of your loved one or a special occasion. We will send a card acknowledging your gift. Download a form to complete and send in to DMARC Offices. DMARC donors can double or triple the impact of financial gifts and/or volunteer service to DMARC through an employer matching gift program. The State of Iowa’s annual One Gift Campaign allows State employees to contribute to DMARC and other approved charitable agencies through payroll deduction. Amazon will donate 0.5% of the price of your eligible AmazonSmile purchases to DMARC whenever you shop on AmazonSmile. You can also check out our Amazon Wishlist of items for the DMARC Mobile Food Pantry, and donate them directly to DMARC!